Surrounded by gardens and pine trees, Lasa Sport features its own restaurant. Each air-conditioned room comes with a minibar, TV and free Wi-Fi access. The Emperatriz III is located on the entrance to Salamanca, close to the N-501. It has a swimming pool, free parking and free Wi-Fi in public areas. Los Molinillos is a small, country-style hotel, located in the Sierra de Gredos Mountains. 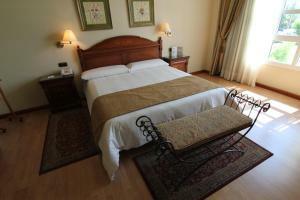 The hotel features rooms with balconies and free Wi-Fi access throughout.